Young farmers all over the county can now afford to get the training they need to be safe at work, thanks to a £7,230 grant from the Cumbria Fund and Westmorland Ltd Fund. 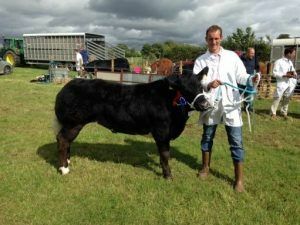 The Farmer Network received the funding to provide vouchers worth £200 each year to people aged between 15 and 40 working on farms to spend on training courses such as trailer handling, pesticide use, artificial insemination, sheep shearing, and foot trimming etc. The vouchers were offered between January 2016 and September 2017 to help towards the cost of technical training needed to be able to work safely on the farms, while also improving employability among young farmers. Demand for these vouchers has risen steadily in recent years. The Farmer Network is aware that nearly all of their applicants come from farm families that are under severe financial pressure, and that most of farms are remote from many of the places where training is provided.